Demands from vendor partners to sell large quantities of infrastructure hardware in order to retain partner tier status with its attractive discounts and support levels. What VARs need is an emergent, fast-growth application, bandwidth and storage hungry, that taps into corporate budgets outside the investment-constrained IT department. Fortunately, such a market exists, IP video surveillance (IP VS). This creates a large opportunity for IT VARs since much of the technology now falls squarely into their core competence. An IP camera can now be seen as one more device attached to the network, and running it requires another network software application. IT VARs know how to do this. Gain access to physical security budgets, and potentially marketing budgets, for wider commercial applications. The requirement to understand and operationalise video security laws, optimal layout design, physical camera installation siting, use and maintenance. How well VARs develop strategies to overcome these issues will determine whether the opportunity is realised. 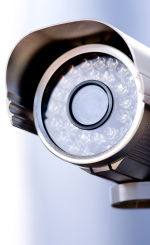 Download the full white paper, 'Opportunities for IT VARs in video surveillance' from our library. Click here to go to the libary. The IP video surveillance focus area is headed by Andy Coaton.